A child is raised in Korea to avenge the death of his father’s first child in this decades-spanning tale of obsession and violence, the third collaboration between director Ermek Shinarbaev and writer Anatoli Kim. 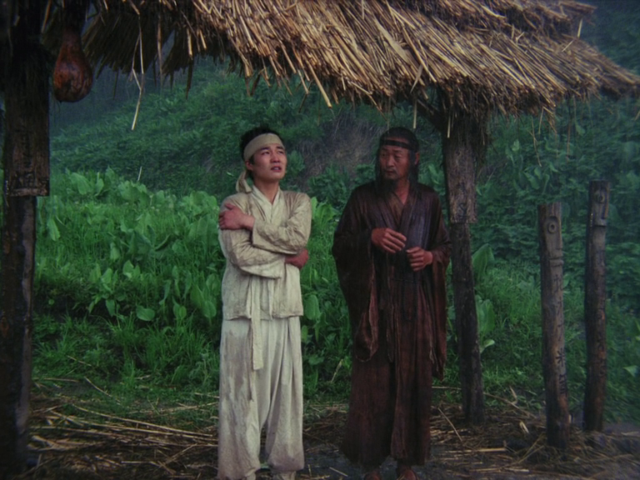 A study of everyday evil infused with philosophy and poetry, this haunting allegory was the first Soviet film to look at the Korean diaspora in central Asia, and a founding work of the Kazakh New Wave. Rigorous and complex, Revenge weaves luminous imagery with inventive narrative elements in an unforgettable meditation on the way trauma is passed down through generations. Of all the collective creative surges that have arisen in the cinema within the last thirty years, perhaps the quietest, least trumpeted, and most enigmatic was the Kazakh New Wave, beginning in the mid-1980s. The films of Serik Aprimov, Sergei Dvortsevoy, Ardak Amirkulov, Amir Karakulov, Ermek Shinarbaev, and Darezhan Omirbaev were unusual on every possible level—uniformly bestilled, lovingly crafted, modest to a fault, and extremely attentive to great and lonesome expanses of time and space. These artists—most of them graduates of Moscow’s VGIK film school who had studied with Sergei Solovyov and Alexei German and worked under the sign of Andrei Tarkovsky—came out of an unsettled culture, a republic in the process of being uncoupled from the massive, expiring empire that was the Soviet Union. Kazakhstan is the world’s largest landlocked nation, the better part of it dry steppes and grasslands, inhabited for centuries by warring nomadic tribes that periodically joined forces to withstand invasions by the Mongols and, later, the Russians. The word Kazakh means “the people who wandered away from the center,” and the nomadic spirit is present in all of these films, whether they are set in the Altai Mountains or in downtown Almaty or Astana. I used the word modest in a relational sense. 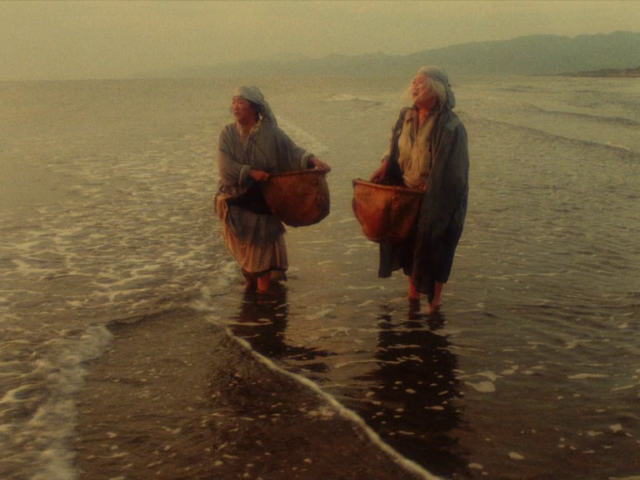 None of the above-named filmmakers operates with the charismatic audacity of a Hou Hsiao-hsien, an Abbas Kiarostami, a Cristi Puiu, or a Lucrecia Martel, to name a few examples from some of the more celebrated “New Waves” of the past few decades. The Kazakh films are rather quietly authoritative, and they carry a sense of duty that one associates with apprenticeship. Even the most celebrated titles—Omirbaev’s Kairat, Amirkulov’s four-years-in-the-making historical epic The Fall of Otrar (written by German and his wife and writing partner, Svetlana Karmalita), and Shinarbaev’s Revenge (1989), the title under consideration here—are, on some level, quietly observant of artistic practices that appear to have been handed down through generations: they are grounded in a spiritual awe for the art of cinema, and they burn with a devotional fervor. I cherish the humility of both the films and the filmmakers, many of whom I got to know when I visited Kazakhstan over a decade ago. I will never forget the midafternoon Almaty “premiere” of Omirbaev’s The Road, three years after it was completed. There was a brief celebration after the screening (very brief, because we had to make room for a six o’clock wedding). The courtly director picked up a platter and served pigs in a blanket and deviled eggs to his guests, one of whom presented him with a bouquet of flowers and a remark for the ages—“Well, it’s no masterpiece, but it’s very sincere; congrat­ulations all the same”—which he accepted with a bow. Shinarbaev, an effervescent but extremely refined gentleman (he might have had a career as a character actor in forties and fifties American melodramas of foreign intrigue), rarely if ever speaks about his work without invoking the Korean-Russian writer Anatoli Kim, the author of Revenge in addition to two earlier collaborations, My Sister Lucy and Out of the Forest, into the Glade. Kim was born in Kazakhstan to an ethnically Korean father and a Russian mother, and moved with his family in the late forties to Sakhalin Island, off the Siberian coast, where much of the final section of Revenge takes place. As is the case with Sicily and Madagascar, control of Sakhalin has changed hands many times throughout history. Early Western mapmakers took the island, which lies between Siberia and the Japanese islands, to be a peninsula or an extension of Hokkaido. For hundreds of years, it was controlled by the Chinese. In the mid-nineteenth century, Japan and Russia staked equal claims and signed a treaty that allowed inhabitants of both nations to settle there (the Russians built a penal colony that was visited by Anton Chekhov and described in his nonfiction report Sakhalin Island). After the Russo-Japanese War of 1904–5, Sakhalin was split in two at the 50th parallel north. Japan controlled the south, and Russia held the north. By the time World War II broke out, there were 150,000 Koreans on both sides of the island, most of them laborers who had been recruited by Japanese mining companies. Kim’s family was among those evacuated and forcibly relocated by the Soviets in the late thirties to the Central Asian Republics, a historical episode that had never been addressed in cinema until Revenge. The family returned in 1948 (three years earlier, the entire island had been turned over to the Soviets at Yalta), Kim grew up speaking only Russian, and he never visited Korea until the early nineties. I bring up these details because the layers upon layers of longing for a true homeland amid endless upheaval, obviously such a major factor in Kim’s life, are present in every frame of Revenge. 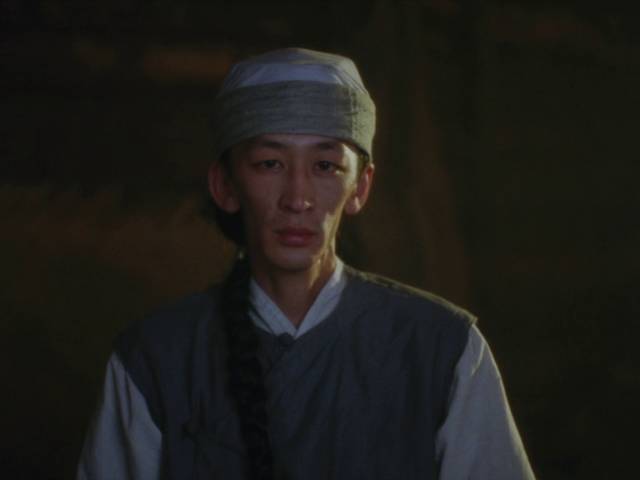 Many of the New Taiwan Cinema films of the eighties and nineties—Edward Yang’s A Brighter Summer Day, for instance, or Hou’s The Puppetmaster—weave the thread of cultural displacement into grand historical narratives. 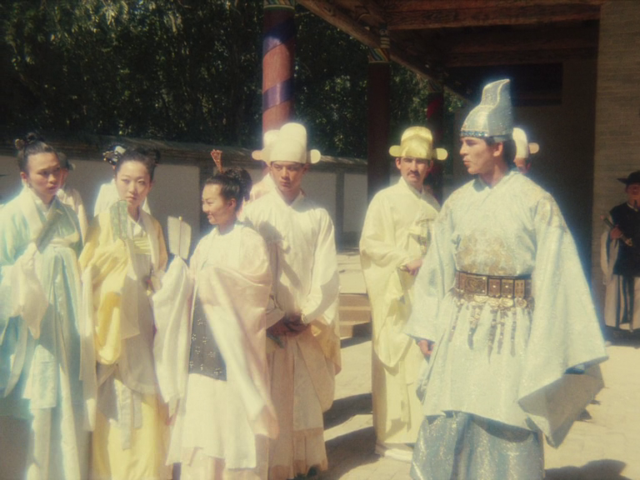 So it is with Revenge, an epic that begins with a prologue set at the royal court of the Kingdom of Joseon in the seventeenth century, shifts to the Korean countryside in 1915 with a trek to China, and then ends on Sakhalin and the eastern coast of Russia in the thirties and forties. The story proper begins with the murder of a schoolgirl by her drunken teacher Yan, who is tracked all the way to a Chinese mine by Tsai, the little girl’s father. Vengeance is almost exacted when Yan is suddenly ushered away by a stranger. Upon Tsai’s return, his aging wife recruits a mute young woman to bear him a second child, whose sole purpose in life will be to avenge the death of a half sister he never knew. 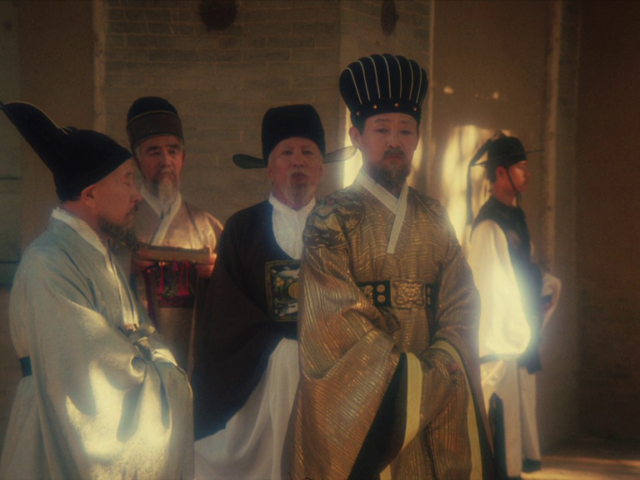 The structure of the film allows us to feel revenge as a force that slices through vast swaths of time, enormous distances, and unstable historical circumstances: we see its mythical origins in ancient Korea, its reanimation (and, by implication, its eternal recurrence) with the murder and its aftermath, and its blind devastations in the spectacle of a beautiful boy, wrenched from the arms of his loving birth mother, who grows up to become a warped young man in whom the seed of vengeance has grown like a cancer. But what finally gives Revenge its power as a film is its employment of and awed respect for the sheer presence of light, which offsets and finally dissolves the grave momentum of the action. 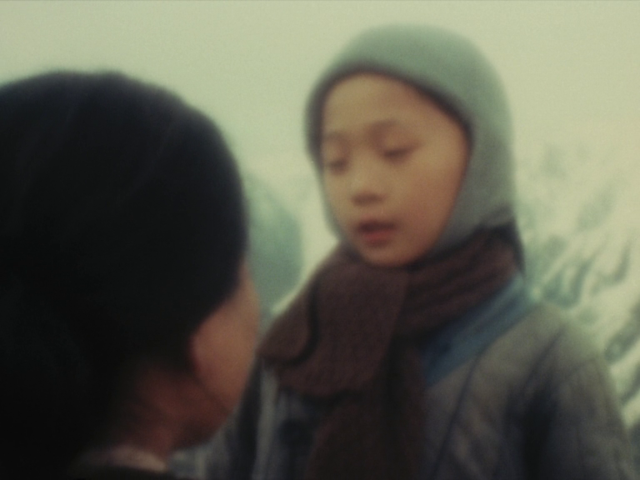 Shinarbaev and the cinematographer, Sergei Kosmanev, have made four films together, all of them visually powerful, but here every image—the serene young mother sitting with her baby on a mountaintop, the young man hemorrhaging blood in his bed in a work dormitory, an apocalyptic truck with an iron container chained to its bumper rolling monstrously into the frame—is impregnated with pure radiance. 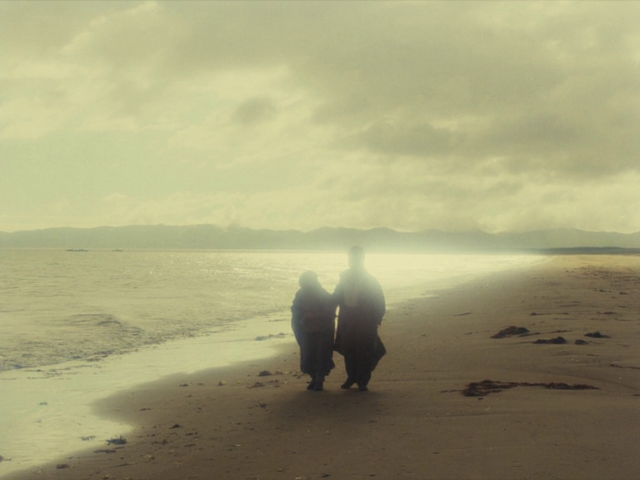 The film embodies the sense of a benign universe far greater than the rancid confusions of human beings. Sadly, if perhaps appropriately, cultural displacement and upheaval have trailed this movie past its own making. When Revenge was completed in 1989, it was a Soviet film. By 1991, when it had its international premiere at the Cannes Film Festival, it was more or less a Kazakh film, with little if any support behind it. The Kazakh New Wave quietly rose as the Soviet Union fell, and essentially came to an end in the early 2000s. Since that time, it has become increasingly difficult for serious filmmakers everywhere, and almost impossible for the Kazakh directors and their fellow artists in Kyrgyzstan, Uzbekistan, Tajikistan, and, above all, in the brutally repressive dictatorship of Turkmenistan, to get a film made. Omirbaev and Karakulov have each managed to make only two features in the past two decades. Amirkulov, who has a second career as a horse breeder, has made only one. Dvortsevoy had an international success with his first fiction film, Tulpan (2008), but he has not made anything since. As for Shinarbaev, he made two very interesting films in the nineties, The Place on the Tricorne (1993), which began life as a stormy collaboration with Karakulov, and Tender Heart (1994). For many years, he devoted most of his time to concert promotion, and then he started working in television. He has been more prolific than his fellow directors, but his work with Kim cuts the deepest, and this harrowing yet meditative and haunting film most of all.